Cake! It's so great that there's a band named after it. 50 Cent wrote song lyrics about it. Apparently famed poet Emily Dickinson was also famous for her cake-baking abilities. But no matter how you slice it, the cakes we're talking about stand head and shoulders above your everyday dessert just because they're so damn great-looking. Call us superficial, but we'd want to eat these cakes no matter what they taste like. You'd probably frame them, if you could. 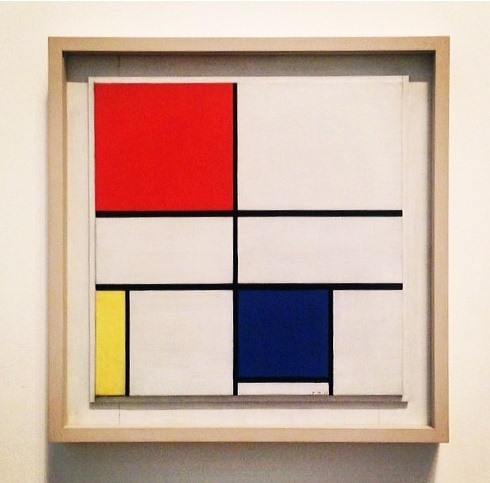 Dutch painter Piet Mondrian is famous for his use of line and color. 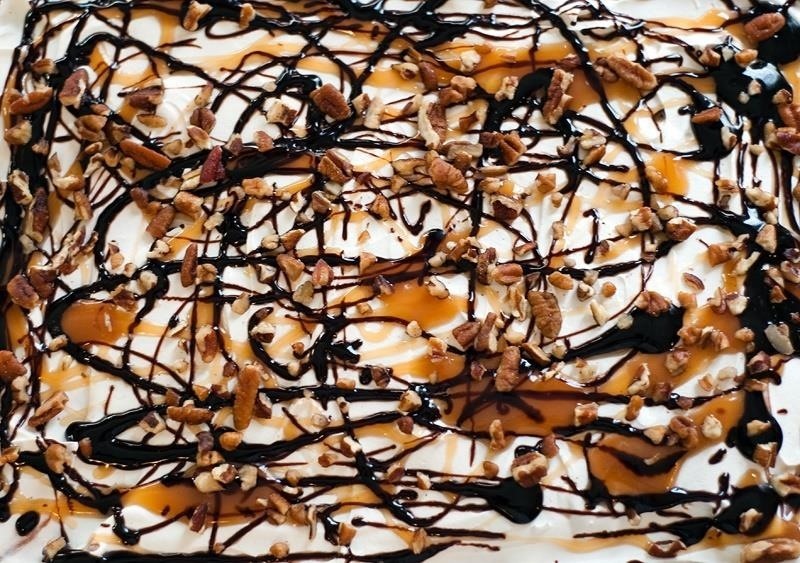 While you can't afford to buy an original work (one painting was priced between $30 and $40 million dollars), you can now make and eat it in yummy cake form—which might actually be better. SFist gives you a blow-by-blow of the process. You can also see the Food Network's interview with Caitlin Freeman, the pastry chef behind the cake. 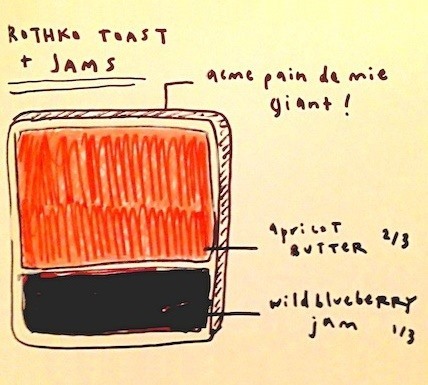 It's served at the SFMOMA's Caffè Museo and is in Freeman's book, Modern Art Desserts. 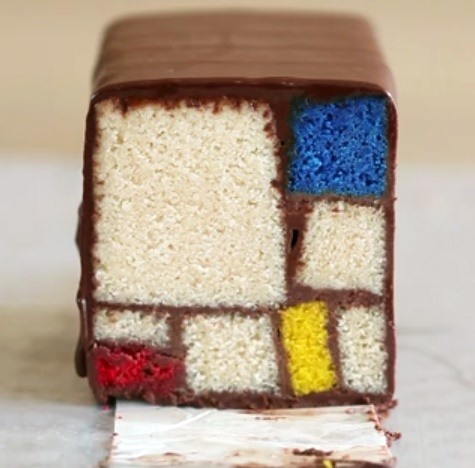 Essentially it's several mini-cakes dyed to match the colors in a Mondrian and held together by chocolate ganache. You can also see UCanDoEat's awesome attempts in this Imgur gallery. This version uses Nutella to hold the cake together. 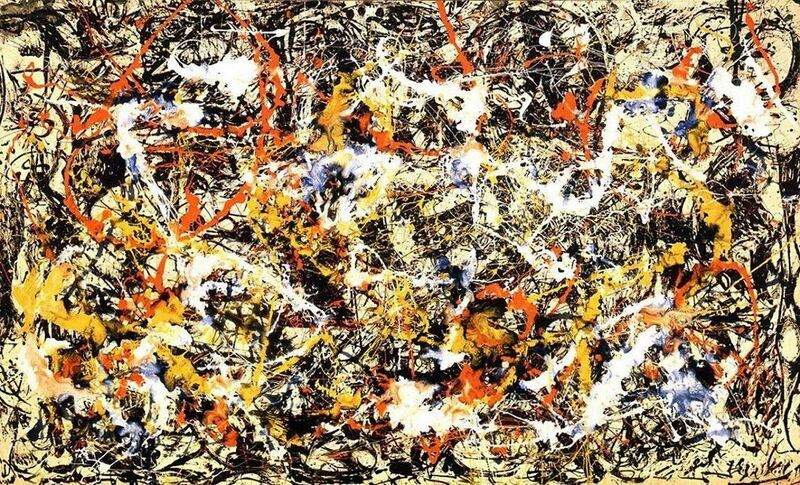 American abstract expressionist painter Jackson Pollock electrified the art world with his famous splatter-and-drip paintings. Now you can ingest the visceral drama and beauty of this landmark piece of art in cake form, as well as on a ginormous Rice Krispies treat. You can learn how to make the Rice Krispies version here. It may not get any more meta (or delicious than this), but once again, Caitlin Freeman at the Caffè Museo creates amazing looking cakes that are startlingly close to their inspiration. 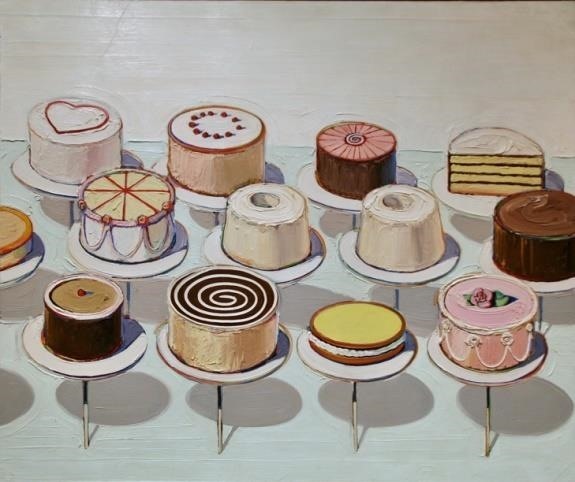 American artist Wayne Thiebaud is justly famous for his stark-yet-lush still lifes, including a famous series about cake. 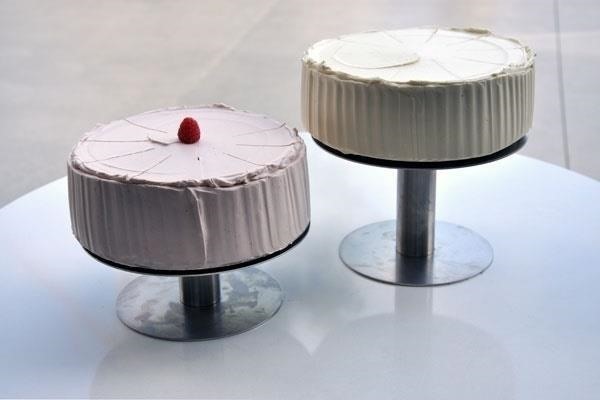 Check out the similarities of Freeman's real-life versions, based on Thiebaud's paintings. I honestly don't know which I find more delicious. 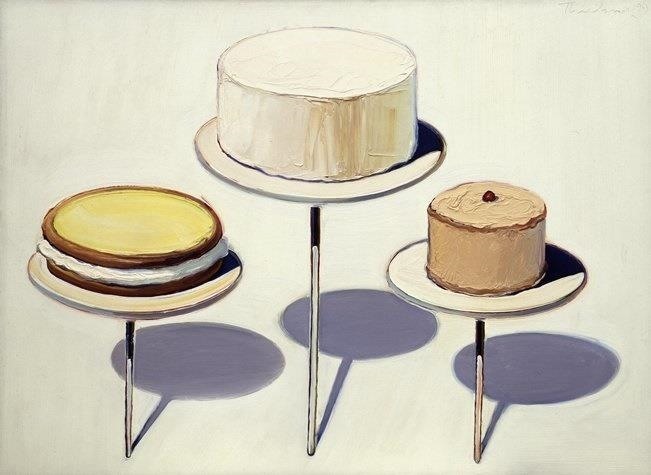 And if that wasn't enough, here's one of Thiebaud's most famous paintings, which American artist Sharon Core reproduced by baking pies and cakes, applying frosting to mimic brushstrokes and paint, and then photographing them at angles to eerily reproduce the original artwork. 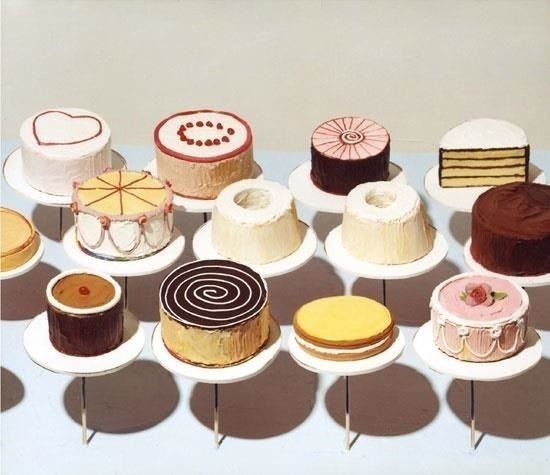 I'm not sure whether I want to eat the cakes or pick up the pieces of my mind off the floor. 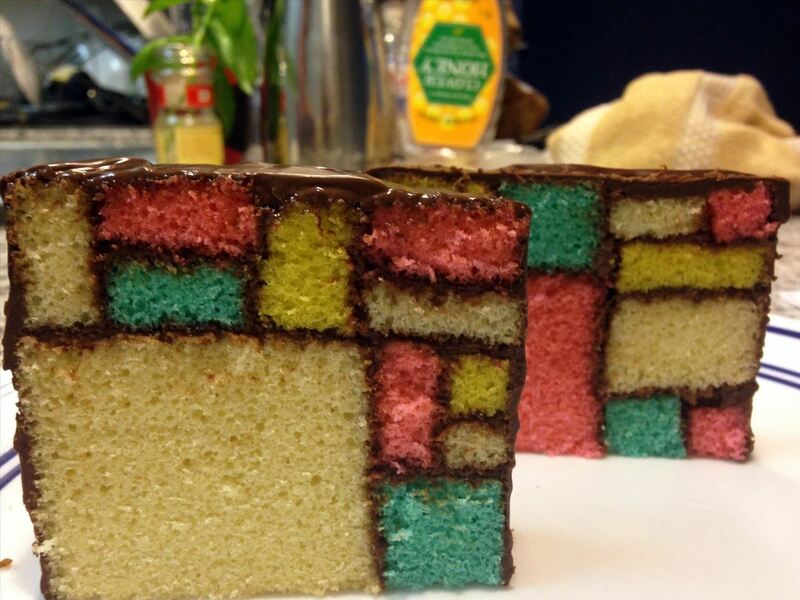 If you have the guts, you can get ideas on how to reproduce these cakes here. 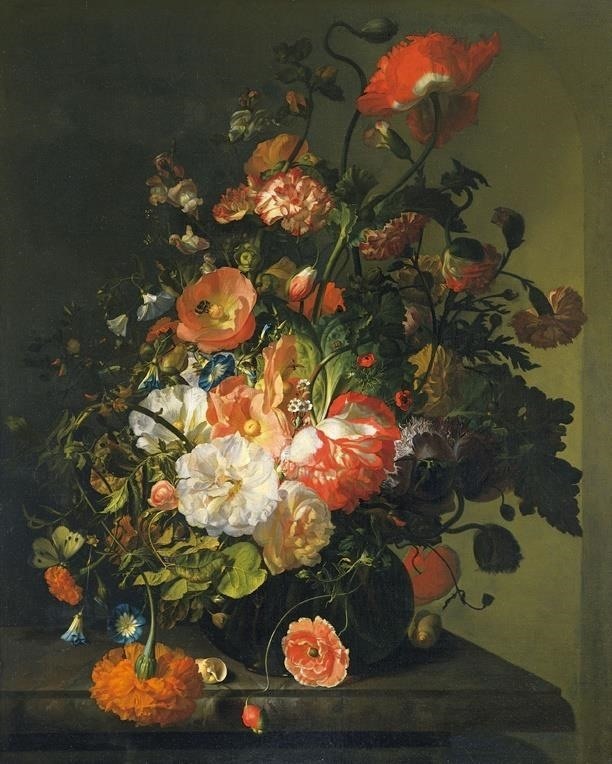 Dutch Baroque painter Rachel Ruysch created beautiful, lush still lifes, many based on flowers and woodland scenes. below, you can see the original painting versus the gorgeous wedding cake version. However, this one might be too much for home cooks to reproduce. 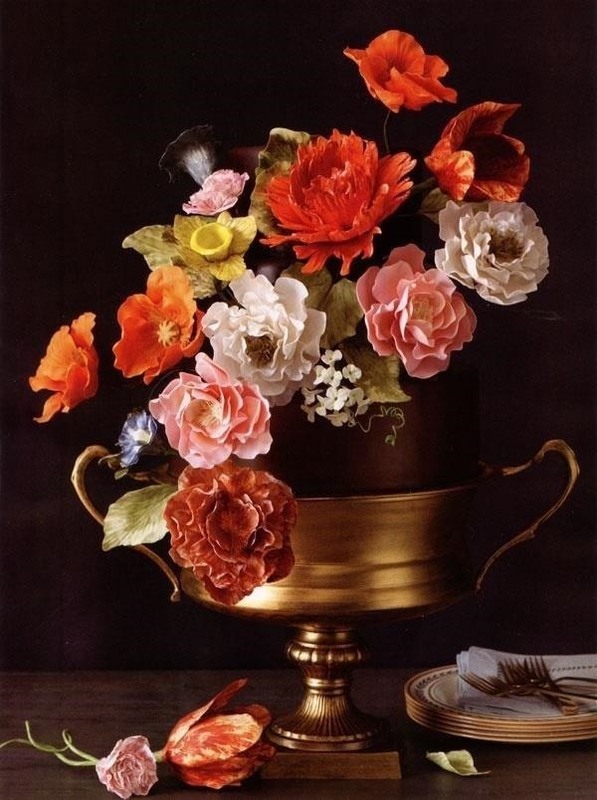 Thankfully, Martha Stewart points out that you can contact the Sugar Flower Cake Shop to make you one. 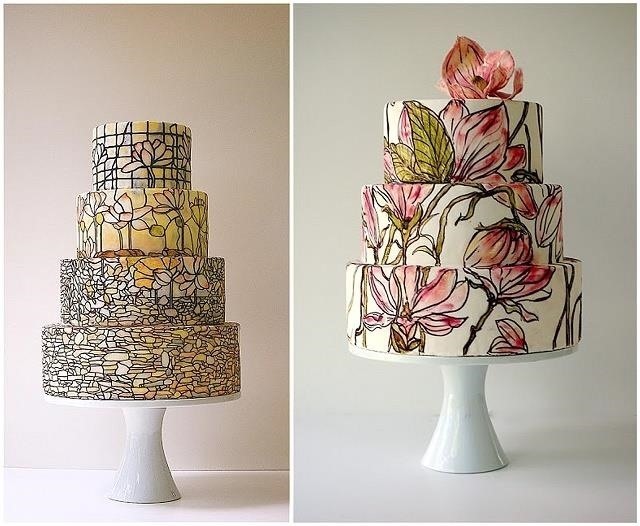 These cakes by Maggie Austin Cake somehow manage to mimic the warmth of Tiffany stained glass. 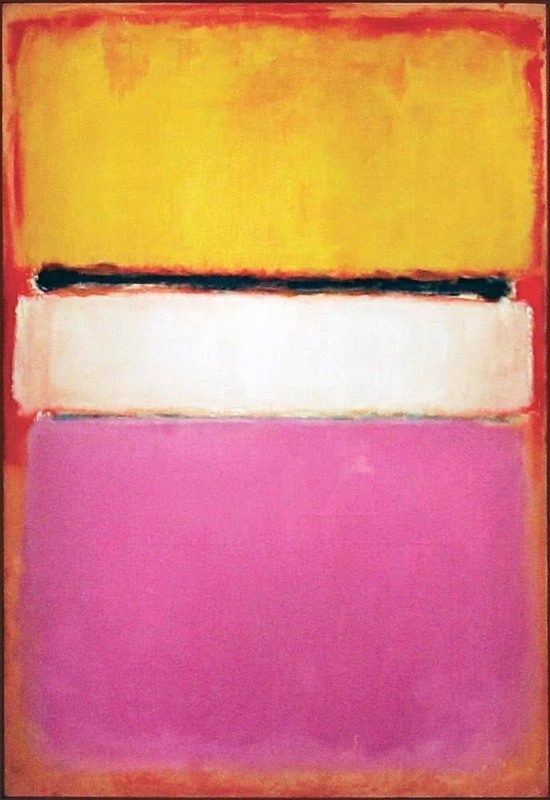 Abstract painter Mark Rothko played with color, proportion, and simplicity. 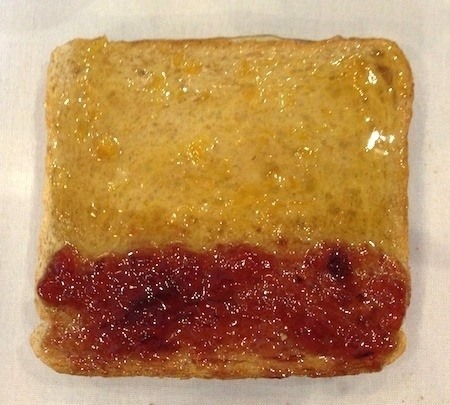 Here, you can see one of his pieces of art, compared to someone playing with those same ideas with cake, cookies, and even toast! 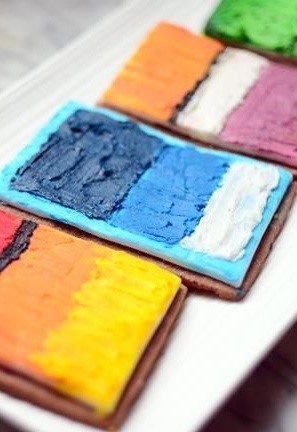 Get instructions for the Rothko cake here and cookies here. Want more astounding and amazing cake art ideas? 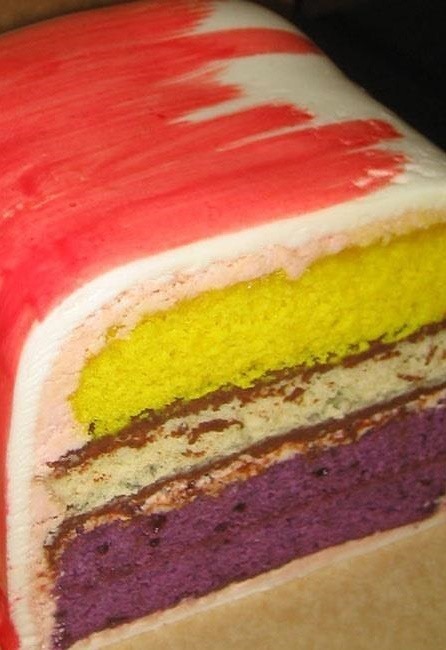 Then be sure to check out this zebra-striped cake, or some startlingly realistic cakes that look like babies. News: Reviews Are In… Does the Raindrop Cake Live Up to the Hype?